LCSB Agency Launches Charity Drive To Support The 2016 Sketchers Performance Los Angeles Marathon On Valentine’s Day. I hope that my efforts and that of my team will help us raise the $3000 goal in donations that will benefit Fit 4 The Cause, a local non-profit I am very happy to be a part of. LCSB Agency, an LA-based insurance firm serving communities throughout southern California, is announcing a charity drive to support the 2016 Sketchers Performance Los Angeles Marathon on Valentine’s Day. 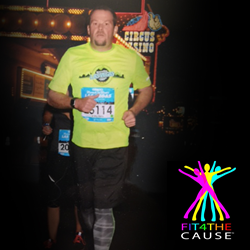 Running in the marathon will be none other than Robert Feldman himself, the owner and manager of the LCSB Agency. Stretching from the Dodger’s stadium all the way to the Santa Monica pier, the 2016 “Stadium to the Sea” Sketchers Performance Marathon will take participants past iconic southern California landmarks, such as the Capital Records tower, Grauman’s Chinese Theater, and the Hollywood Walk of Fame. Utilizing an extensive network of local business owners and community leaders, Feldman and his team are building an online social media presence and launching an email awareness campaign to spread the word about the charity event. The LCSB Agency will also be featuring the 2016 Sketchers Performance Marathon in the upcoming edition of their monthly online magazine “Our Hometown”: http://www.lcsbagency.com/Our-Hometown-Magazine_41. Running in the 2016 Sketchers Marathon is only the tip of the iceberg for Feldman and LCSB. The Agency has committed to an ongoing community action program that will involve working with a new LA-area charity every other month. Readers who want to support Feldman and the LCSB Agency during this charity event are encouraged to visit the following page and make a personal contribution to the cause: http://www.lcsbagency.com/Bobby-Feldman-Runs-LA-Marathon-For-F4TC_18_community_cause. Readers interested in following the LCSB Agency as they support new charities are invited to bookmark the LCSB Community Causes page: http://www.lcsbagency.com/community-cause. About LCSB Agency LCSB Agency has a goal—for their customers to think of them as their trusted advisor. They do this by delivering quality insurance products and the best customer service experience possible. The LCSB team of licensed agents and experienced associates work together to ensure they deliver prompt, courteous, and accurate solutions to their customers on a daily basis. To contact a helpful and knowledgeable expert at LCSB Agency, visit http://www.lcsbagency.com on the web or call 888-983-6400.